It is summer, time to beat the summer heat! 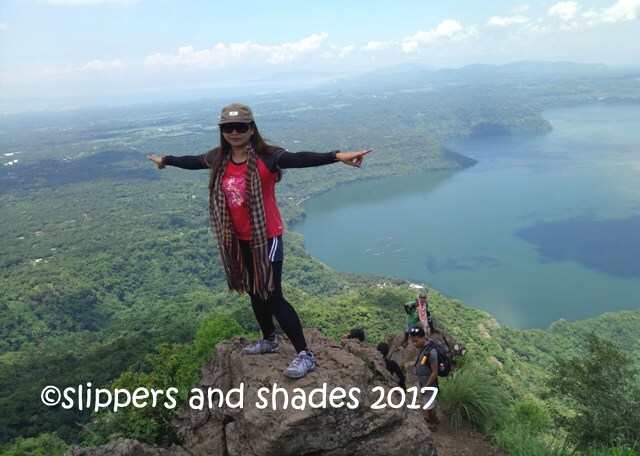 But instead of going to the beach, Lhen Pelenio, my favorite trek buddy and yours truly are up for another exciting adventure. We will go spelunking in Lussok Cave, rock climbing in Dupag Rock Formation and sightseeing to Manacota and Underground Cave. All this is through the organizer Mayee Cavas which Lhen found on Facebook. Again, we are joiners and we will be mingling with another set of friends. Let’s start our Apayao adventure! 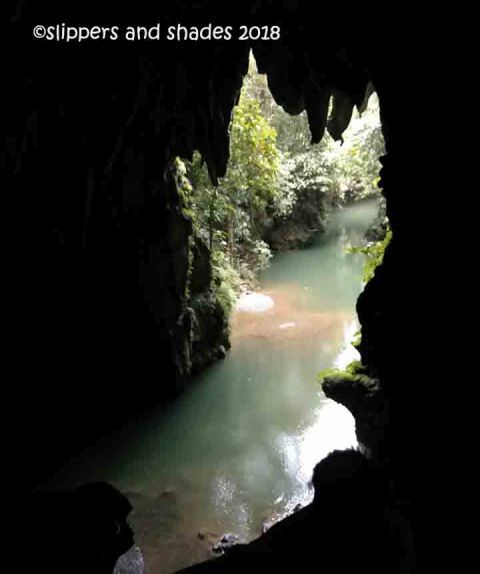 Lussok came from Ilokano word which means “hole” and this hole will be encountered at the end of spelunking. 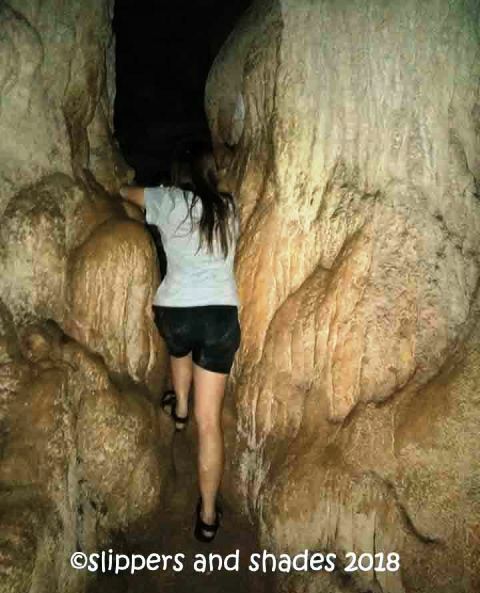 Lussok Cave is located in Barangay Dagupan in the town of Luna which is the capital of Apayao. 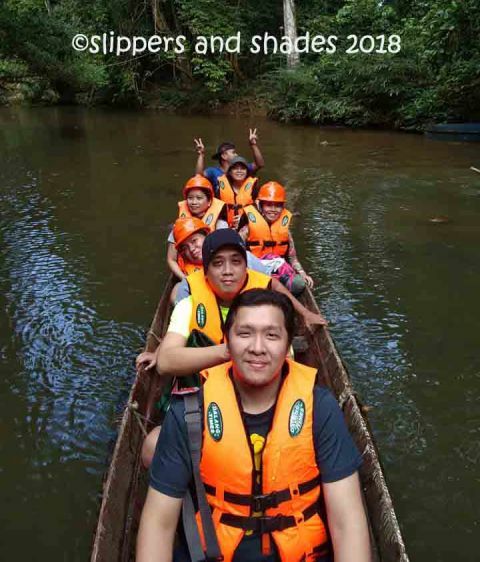 It is considered one of the region’s gems and is getting more famous because of its sheer beauty and the exciting activities it offers-the sightseeing through a boat tour and spelunking. In getting to the underground cave one has to ride the rowboat. Every group is being given two tour guides, one is in charge of towing the boat through the use of paddle and the other is the narrator. After paying for the entrance fee we were given a life jacket, a plastic helmet and were briefed shortly by our tour guide of the do’s and don’ts during the boat tour and spelunking. Later he led us to the boating area. Since we were all twelve, we were divided into two as the row boat can only accommodate a maximum of eight. The excitement began when we started to sail slowly. here we go with our boat ride! The placid river was green and blanketed by complete serenity. As we approached the entrance of the cave, there were already rock formations initially welcoming us. We were awe-stricken by its beauty. It was enchanting. 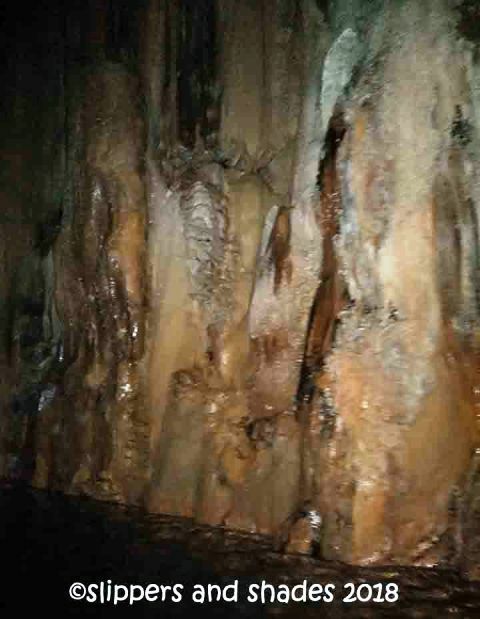 What so exciting to see inside the cave are the types of speleothems which include the dripstone, the flowstone and the cave crystals. Most common are the dripstone in the form of stalactites and stalagmites. It is easy as a-b-c how we can distinguish them. Stalactites are found in the ceiling with varying shapes like pointed, conical and cylindrical. Stalagmites are found in the ground with often blunt mounds. When they meet it will result to columns. Our talking tour guide was so funny and lively. He started his cue when darkness engulfed the entire area. He lighted different natural formations of the stalagmites and stalactites through his flash light and named it one by one. 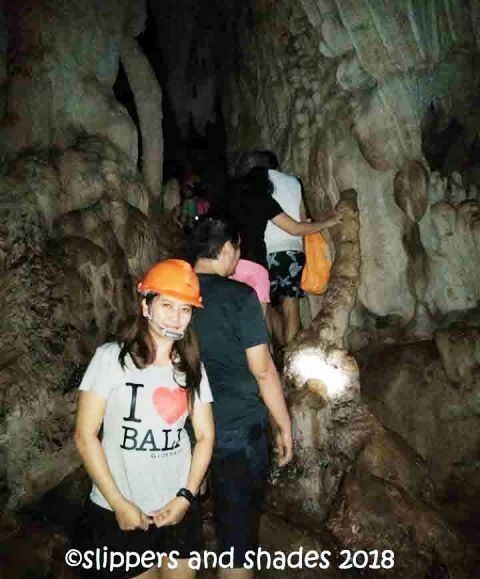 I’m a fan of caves that’s why a tour in the Underground River was so elating. There were a lot of extraordinary cave formations inside. And it was so amazing how they were formed through time. There were also the flowstones and crystal deposits on some area. We were forbidden not to touch some rock formations as its growth might be disrupted. We were warned not to open our mouth when we reached the ceiling full of bats. Surprisingly, it wasn’t stinky in that area. The entrance and exit are one so we went back to the opening after reaching the end. 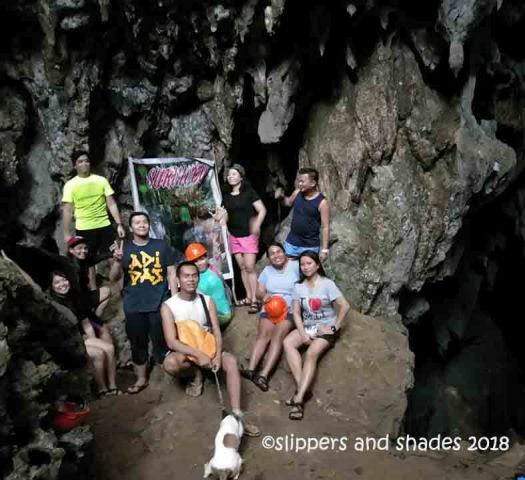 This is not my first time to explore a cave but my first to go spelunking, a recreational sport that will involve crawling to tight spaces, stepping from one rock to another, and rappelling. It’s good that I had an experience in trekking that’s why it did not scare me to step and to hold on slippery and sharp-edged rocks. On the early part, we squeezed our body to a small hole and crawled upward to get out from it. That was the first challenge. Next, we passed through a hole and managed our balance to step into a protruding rock with a deep crevice underneath. If it wasn’t for the guide surely, I might fall because the length of my legs isn’t enough to step on the rock. It is a must to be very extra careful in this part because in one wrong step, it will surely put one’s life into danger or even death. The journey was so enjoyable and it was so nice to see another set of bizarre rock formations that awed us all. Nearing the end of our adventure, we were mesmerized seeing an afternoon light passing through the hole which they call lussok, hence the name of the cave. If we come earlier, the light might stream vividly inside. But since it was already late afternoon it was fainting. We climbed the slippery assault in getting out of the exit. Then on the mouth of the cave there were boulders for sitting and a tarp that says, “I survive!” Of course we were! Hahaha! Group picture came next. There are three options in spelunking and we chose the moderate for safety reason and to lessen time. It took us forty five minutes before we finally completed this activity. There are two options in getting back to the tourism office. One is through the Hanging Bridge and the other is by trekking. 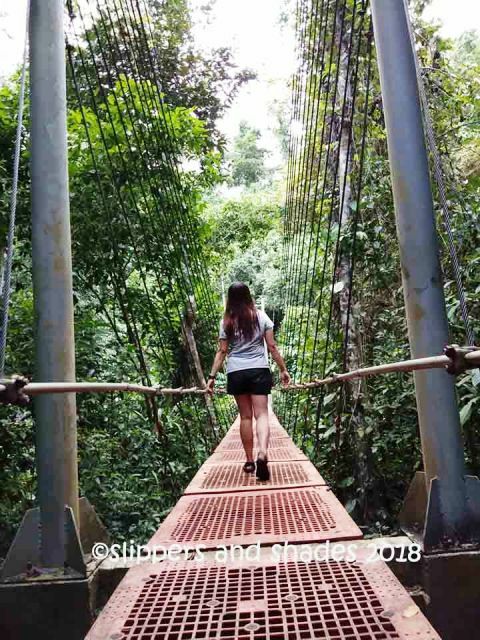 But since all of us were after a challenge, we all crossed the Hanging Bridge. Instead of wood or steel, the bridge was made of used plastic bottle crates supported by steel wire and cable. The bridge can carry 500 kilos to 1 ton. What so good about this is that it did not shake badly unlike some hanging bridges where you will hold the hand rails while crossing it. Some of the visitors dipped into the river after they explored the cave. In our case, we did not swim there anymore as it was already getting dark. We were the last group to invade the beautiful cave. This is Mayee’s first time to organize an event in this region. Our trip from Manila to Apayao took us almost 16 hours. The road trip may be tiring, but our experience in this cave was all worthy. 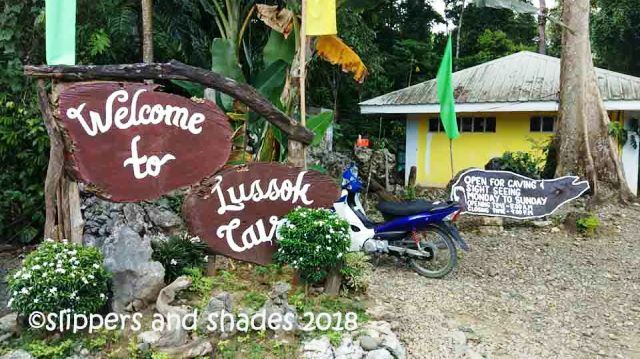 It may be far, but there is a potential that the province of Apayao will boom as tourist destination. 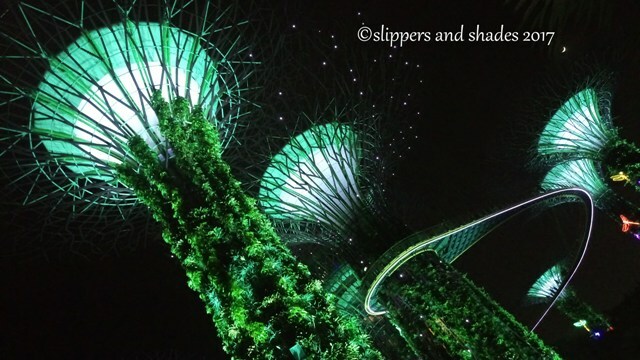 Its natural wonder will surely attract thousands of tourists and venturesome people. 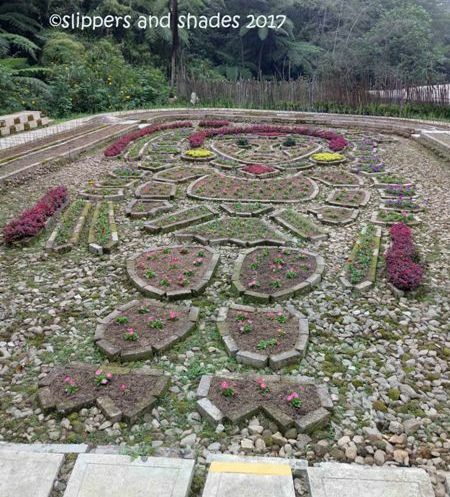 For in Apayao, walang aayaw! There are two exciting activities tomorrow. So better hang on! Follow me on Instagram and Facebook for more of my adventures and travels. Enjoy! 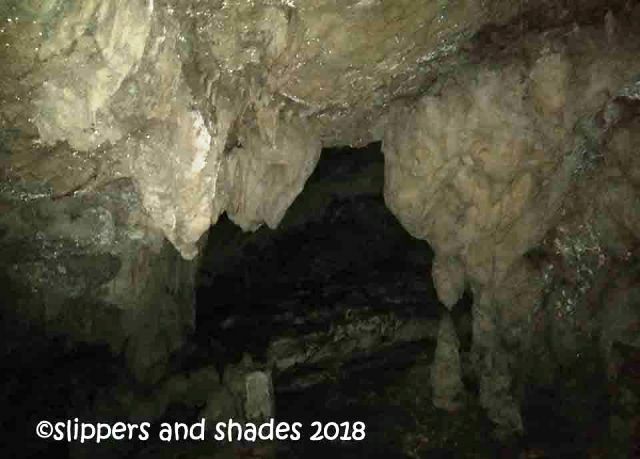 This entry was posted in Archive, Articles, Cave, Philippine Travel, Philippines, Recreations, Travel, Travel Archive, Vacation and tagged adventure, Apayao, Luna, Lussok Cave and Underground River, nature, Outdoors, people, recreations, transportation, travel, vacation by shadesandslippers. Bookmark the permalink. That’s a really cool cave! 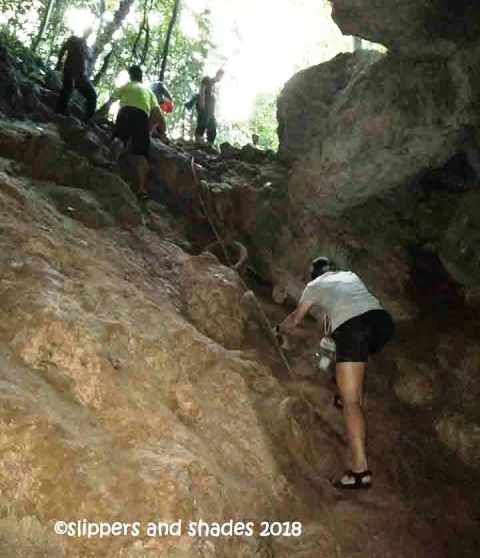 Is exploring Lussok Cave on foot allowed? Or should we need to ride the canoe all throughout the tour? 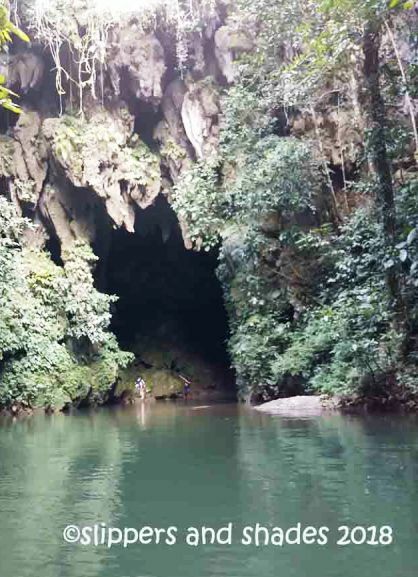 Exploring Lussok Cave offers sightseeing through a boat tour then after the trip you will do the spelunking to the other chamber of the cave. 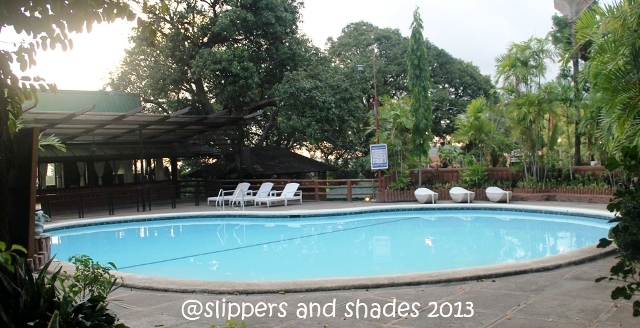 For the adventure lovers like you, surely, you will enjoy these activities. 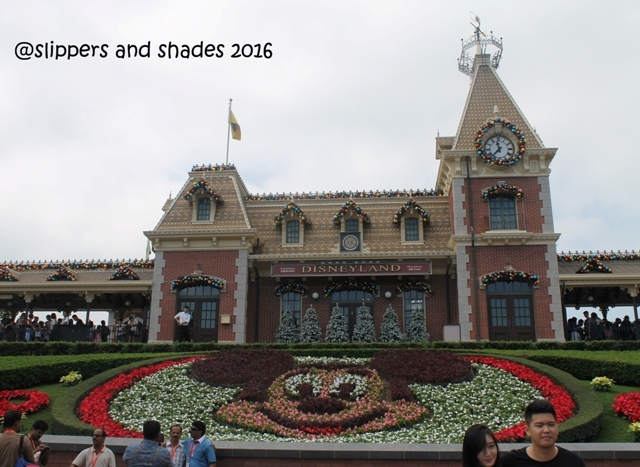 Thank you so much for visiting my site. Nice story. Will be there in March. Enjoy and have fun! Thank you for visiting my site.